Switch on your PS3 and you'll see Sony has pushed through the 3.21 firmware update a little early. Remember, this update removes the ability to run other operating systems, such as Linux. Not installing it will mean you can't play games and Blu-rays demanding a system running 3.21, and you also won't be able to connect to PSN—which would be a major bummer for a lot of people. 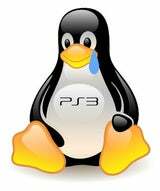 Hacker Geohot is trying to figure out a patch that'll keep the ability to run Linux, while also not encountering problems with PSN/Blu-ray/games support, but we're not sure on how soon that'll be.